Working to encourage a walkable lifestyle in Princeton, New Jersey! As part of an occasional series where we cast an eye over rental properties and real estate walkable to downtown Princeton, we invite you to comment on a local listing. You can find previous entries here and here. Today we are looking at an apartment for rent with 2 bedrooms, 1 bathroom. 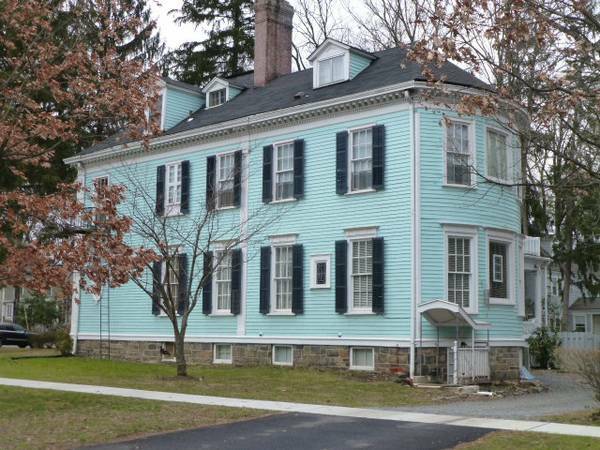 The address is listed as ‘Nassau Street’- those in the know will recognize the property as 301 Nassau Street, which is at the corner of Princeton Avenue, just east of the University, and near the 255 Nassau site. 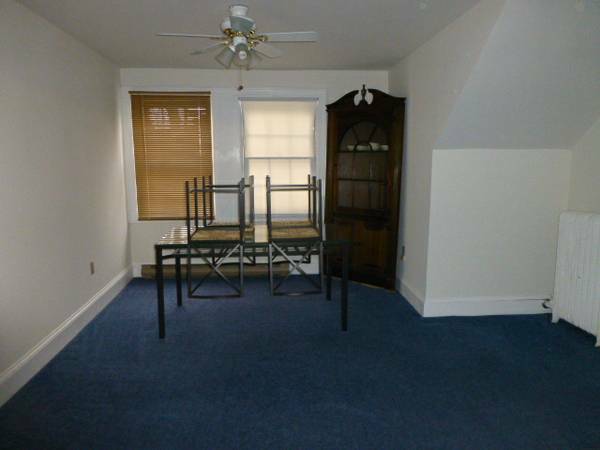 The advertised rate is $2,000 per month and the full listing with more photos is available here. The house is described as a “large historic Nassau Street mansion”. It certainly is big, but you only get a bit of it for your $2,000/month, and a bit of Googling reveals that there are 8 individual residential units on the site. 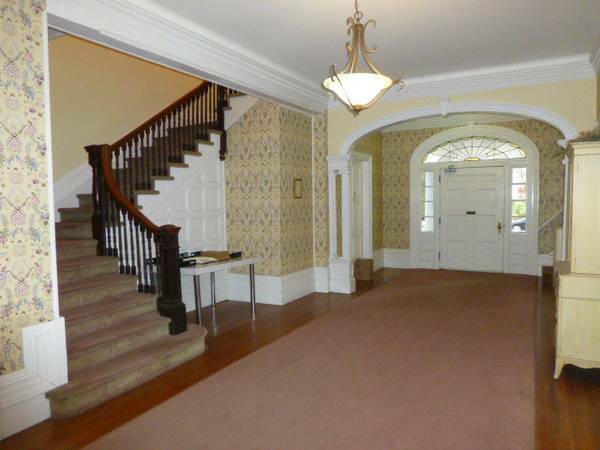 Hallway at 301 Nassau Street (click to expand). Off-street parking and utilities are included, so, as rentals, go, for $2,000 a month, Is That A Good Deal? Let us know if you think $2,000 per month represents fair market value for this rental property! We welcome your comments in the space below! This entry was posted in Good Deal?. Bookmark the permalink. 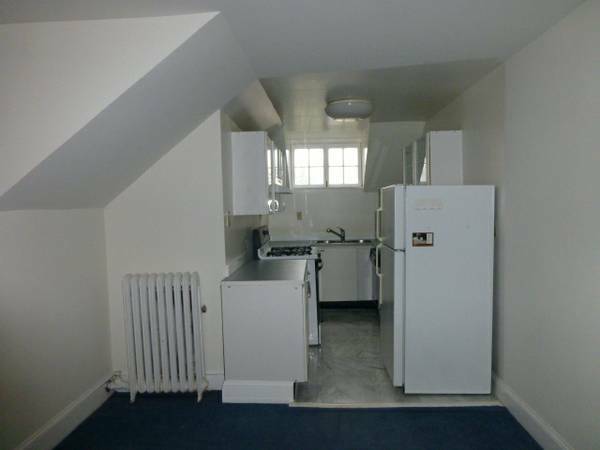 Not exactly top-notch decor, and the kitchen seems a little pokey, but for 2 room-mates it may be within reach. It certainly seems like a better deal than some I’ve seen, but I wouldn’t say it was an amazing deal. What's The Deal With 'Unmarked Crosswalks'?